Do you have denture problems? Are you afraid to smile? 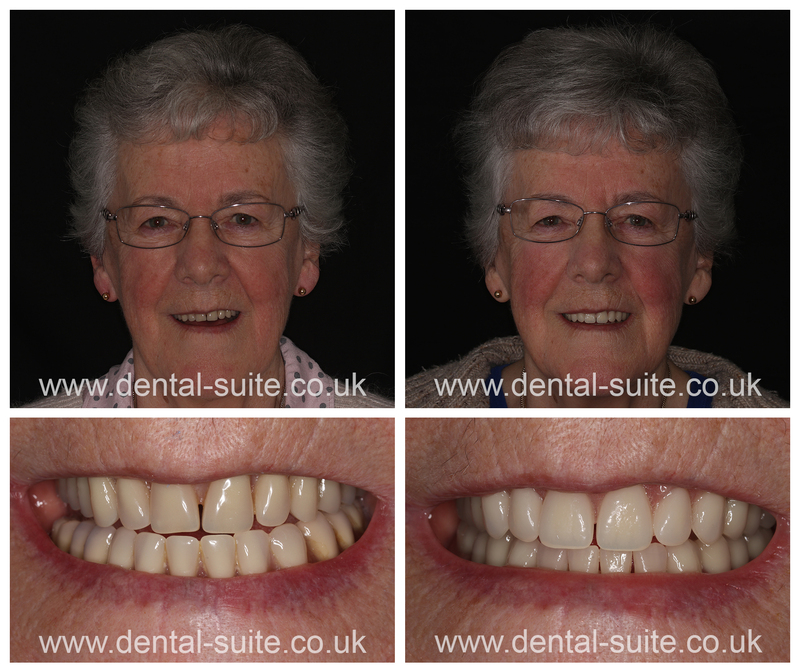 Do you want dentures that are comfortable and look natural? You are not asking too much! 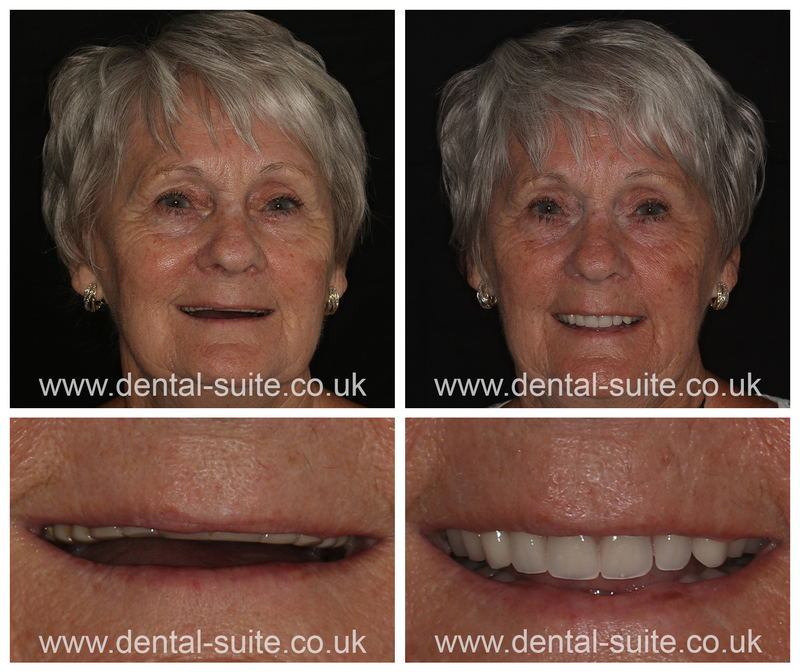 We are the experts in creating all types of natural looking dentures that once expertly fitted, will restore your smile and transform your appearance. "I'm smiling all the time"
A masculine form can be described as cuboidal and muscular, with a vigorous physical appearance. 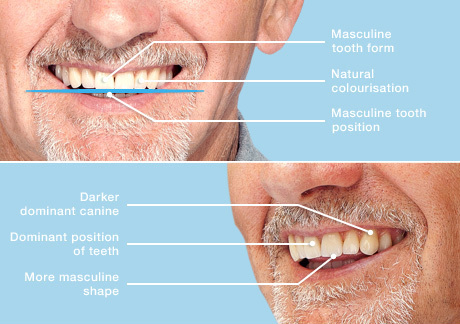 A basic tooth form, which expresses masculine characteristics, should be used to reflect these attributes. Denture teeth possess strong characteristics and are positioned boldly to provide a more masculine appearance. Femininity is expressed by roundness, smoothness and softness that is typical of a women. Therefore, a selection of tooth shapes which have the soft lines and expression of the feminine form should be used. 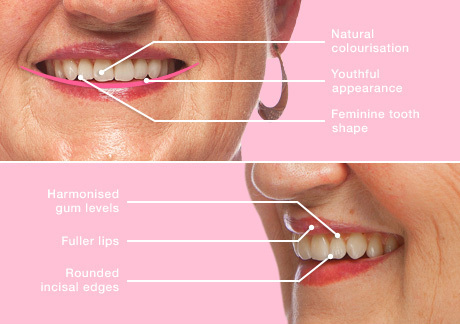 Denture teeth are delicately positioned to enhance femininity and blend perfectly with facial features. "My dentures are top of the shop"
Using the highest quality materials to achieve a NATURAL look. Missing teeth can be replaced by dentures, which are plates with artificial teeth. Most patients complain that their dentures are loose and that the teeth do not look natural. 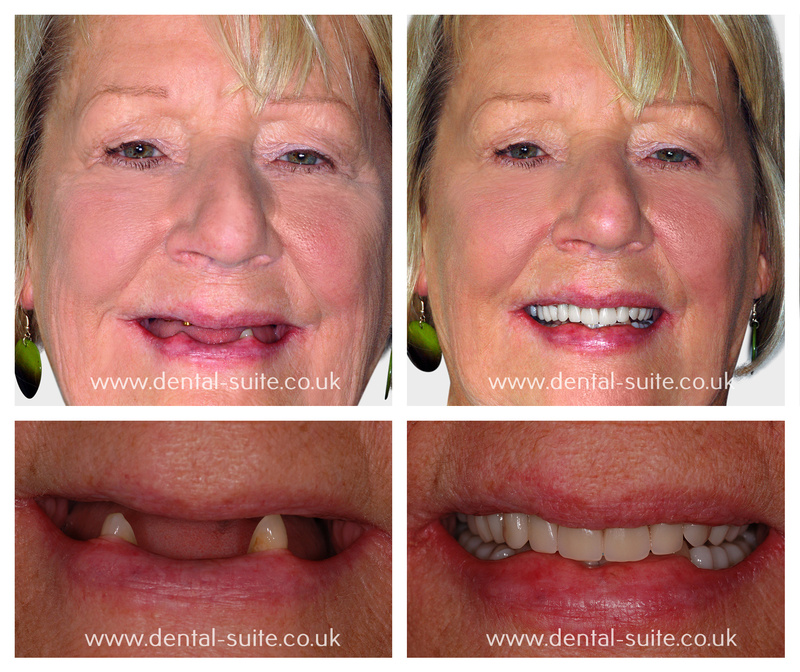 The best way to tackle the problem of loose dentures is to have dentures retained by implants. 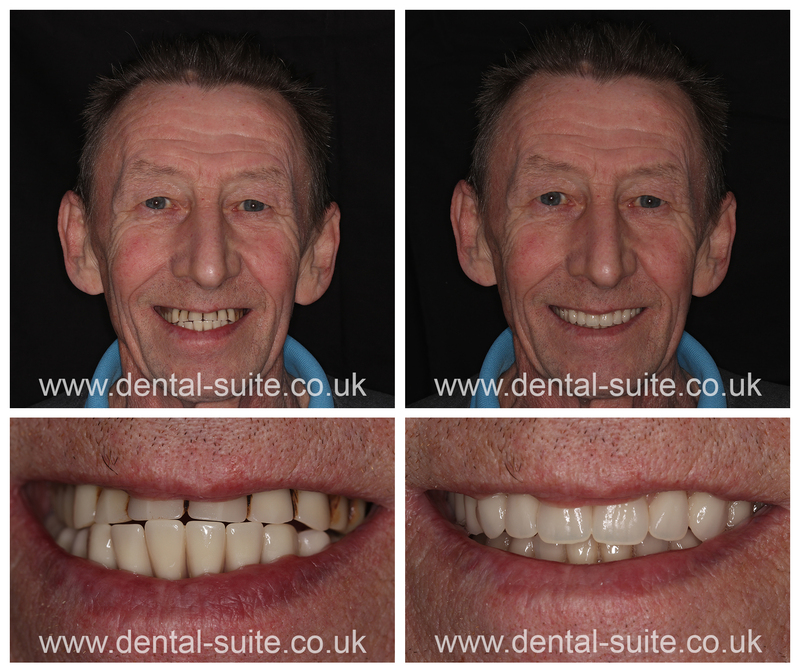 We also use a highly skilled technician who uses the best materials on the market in order to achieve the most aesthetically pleasing and natural looking denture. If needed, the lab technician and myself will carry out a joint consultation. 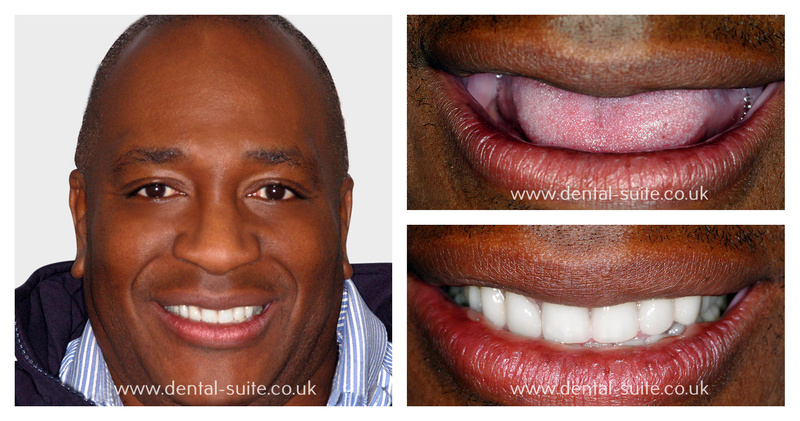 I believe that the secret to a great denture is excellent team-work between the dentist and the lab technician, which is why I use the best lab technician. 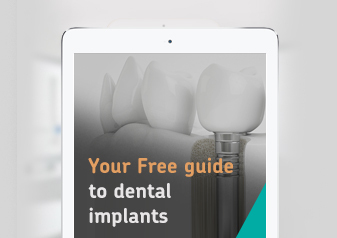 We are also aware that some people may not be able to have implants for various reasons. 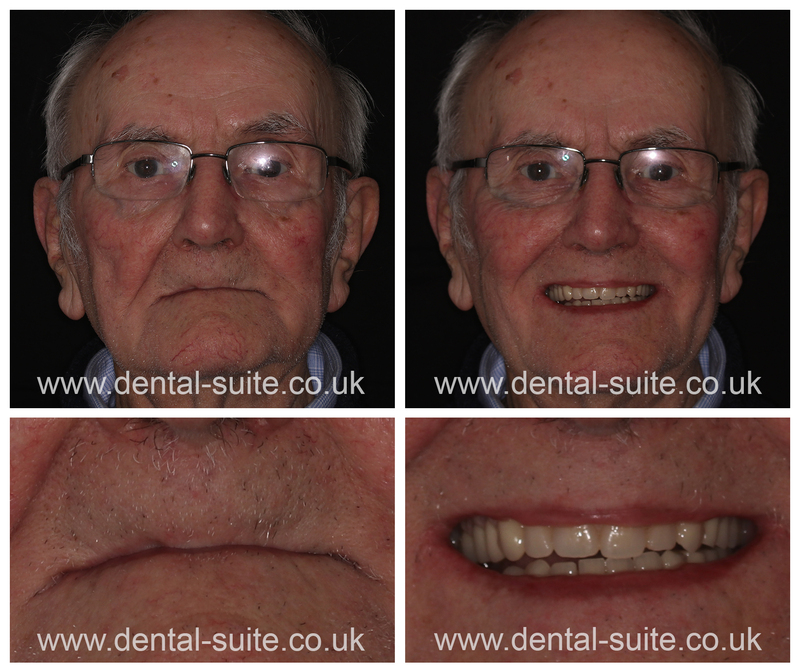 For these patients we can still achieve great results by providing high quality dentures. If you are looking for Dentures and are situated in the Midlands, you will find that our Loughborough and Leicester clinics are in easy to reach and convenient locations. A lovely place where you can relax and read a magazine and have a chat with the staff who are very friendly.I had new dentures fitted and they fit really well and are comfortable after years of wearing dentures that made my teeth really sore. I have always been happy to visit the dental suite for their kind service and standards of dental check-ups. You know you’re getting a good deal.